180122 | Boundary Review | Connor Downs to be cut in half? Submitted by via Falmouth Packet on Wed, 05/09/2018 - 11:52. 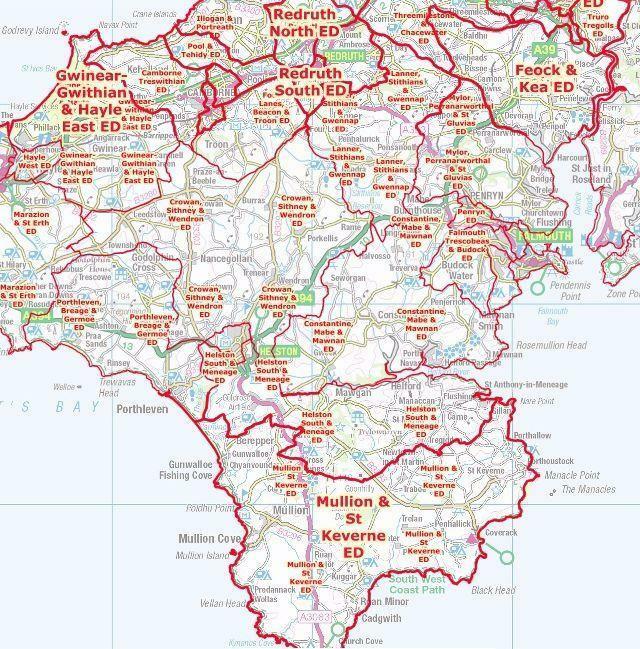 A change in the size and shape of electoral divisions from 2021 which will affect how residents will be represented, is to be considered at a full Cornwall Council meeting next week. Members will be asked to consider the recommendations of the council’s cross party Electoral Review Panel, which is proposing significant changes to the proposed electoral divisions put forward by the Local Government Boundary Commission in the Wadebridge area, Bude, Gweek, Lanreath and St Pinnock. Minor changes are also suggested in urban areas including Falmouth and Truro. The Local Government Boundary Commission has already decided that in future, Cornwall Council will have 87 councillors rather than the current 123. The commission is now consulting on the detailed boundaries of the electoral divisions each Councillor will represent with submissions to be submitted by September 17. Cornwall Council's cross party Electoral Review Panel has now finalised its recommendations to Council on the response it should make to the Boundary Commission. 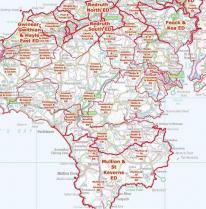 Most of the new divisions the Boundary Commission has put forward are identical or very similar to those Cornwall Council proposed earlier in the process however, in some areas the Council's Electoral Review Panel is proposing changes. Councillor Malcolm Brown, chair of the Council Electoral Review Panel said: "We have had a difficult job trying to reconcile strong opinions held by different councillors. Over the last year we have had particularly lively debates about Penzance, Hayle and Connor Downs, Redruth and the mining villages, Falmouth, Newquay and Wadebridge. However, we believe that we now have a strong package of proposals which we hope council will support." Cornwall Council is also expected to make a decision at next Tuesday's meeting on the process for managing community governance reviews which will be reconsidering where there are parish councils and what their boundaries should be. Examples of situations where change might be considered include where development in a town has extended over a parish boundary into an adjacent rural parish, or where two small parish councils may want to combine.